Made following a traditional process with quality dumur wheat semolina and spring water, the Capellini are air dried for 56 hours. 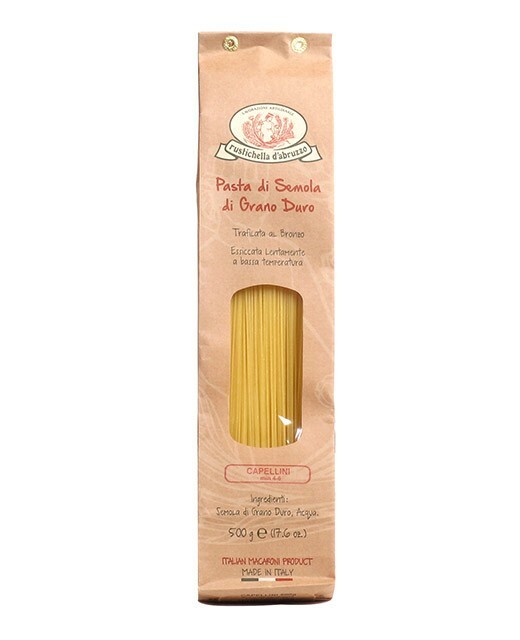 This is what gives their density and flavor to these Rustichella d'Abruzzo pastas, and enable a perfect al dente cooking. They are great with broth based sauces.